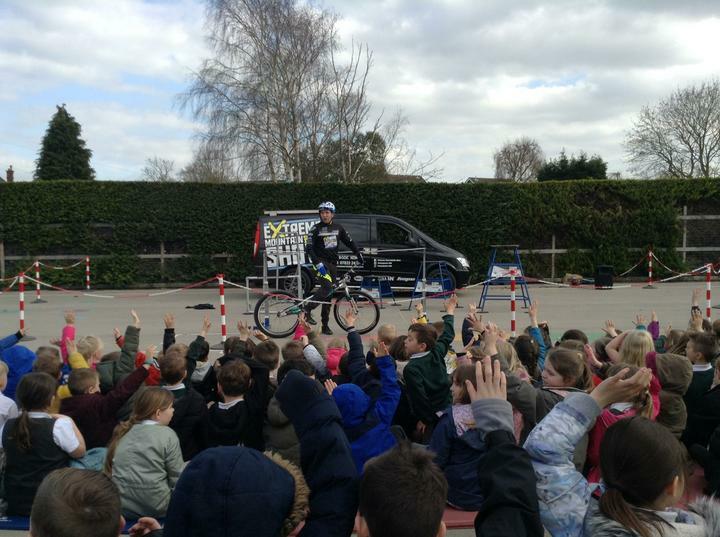 This year Templefield has been working with Sustrans to encourage children to ride bikes and scooters in order to stay healthy and keep active. 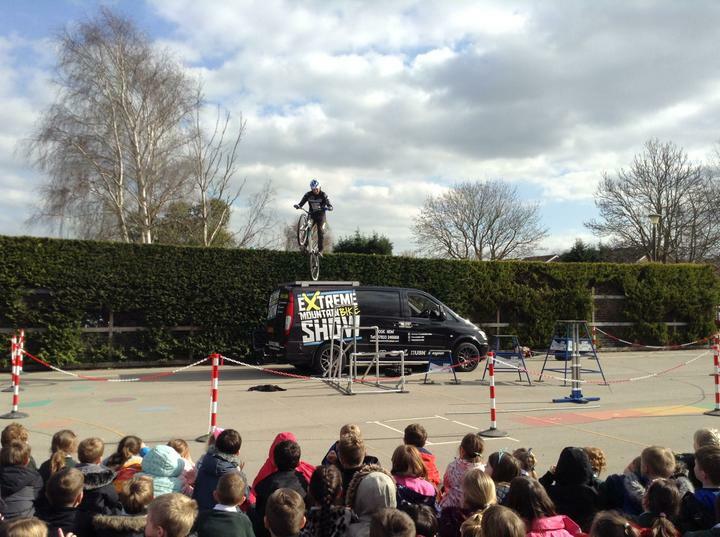 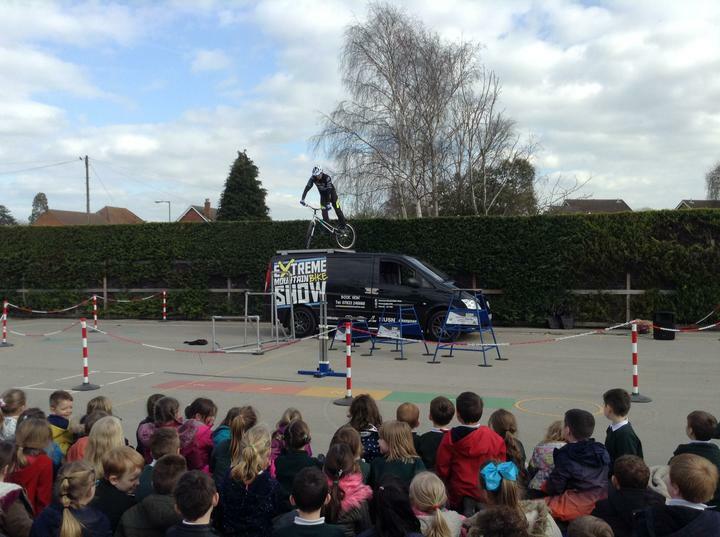 As an incentive we were lucky enough to all be able to go outside and watch a mountain bike stunt show. 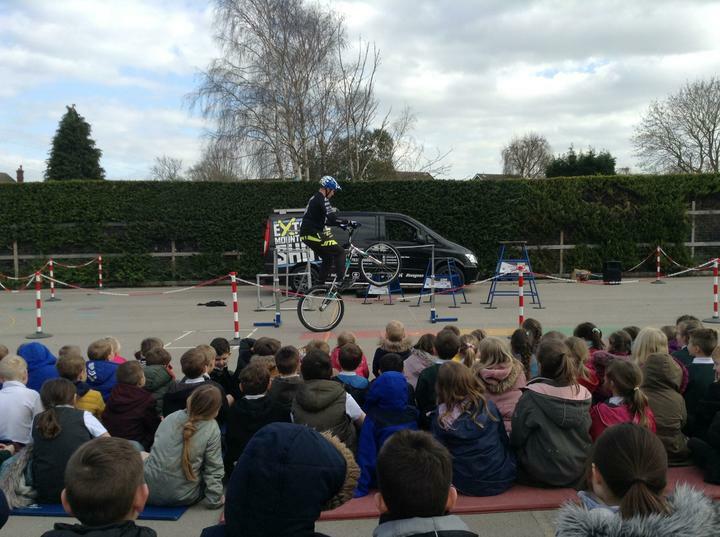 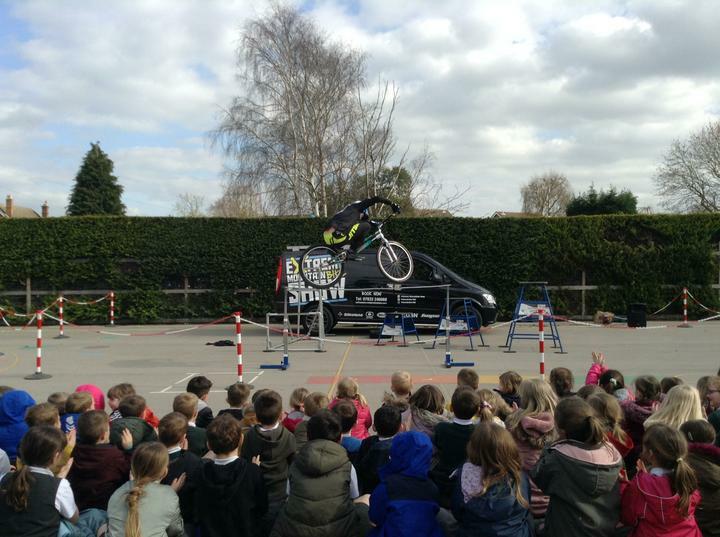 The children were excited to see Danny Butler, the 5 x British Mens Elite Champion and European Champion perform some amazing tricks in our playground. 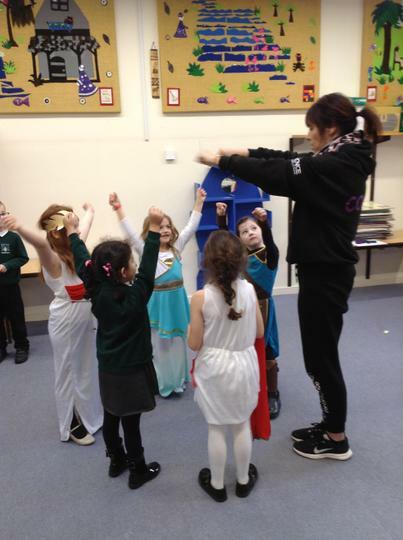 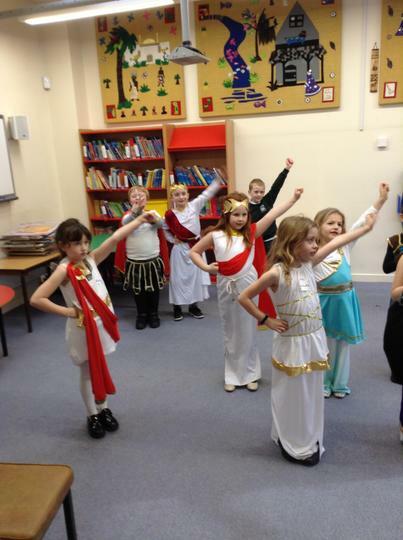 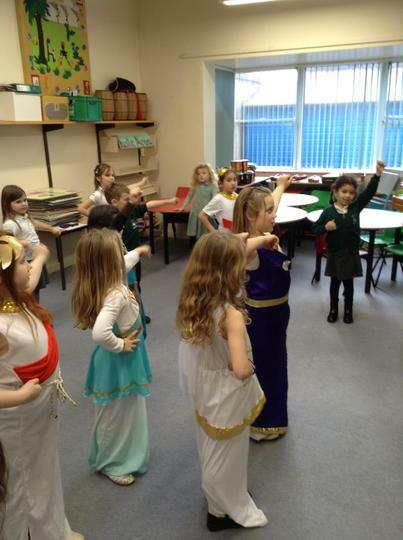 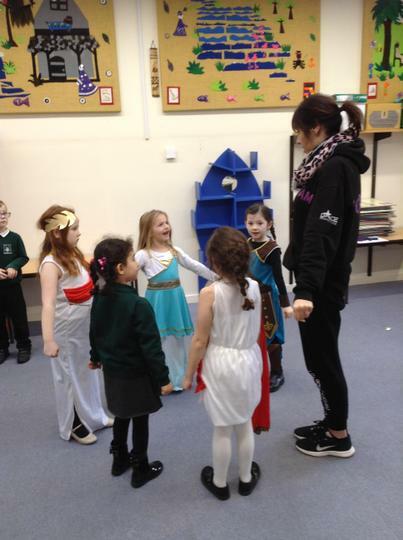 Children in key stage 1 have been enjoying a Cheer leading lunchtime club. 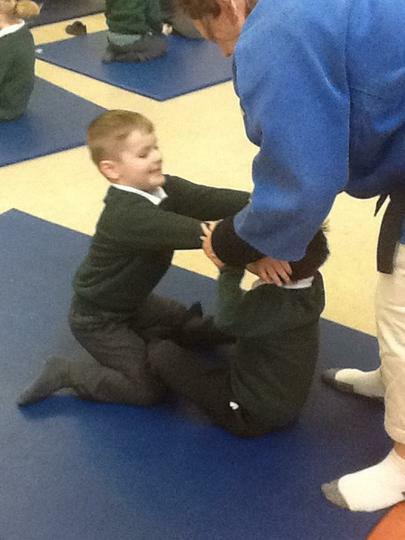 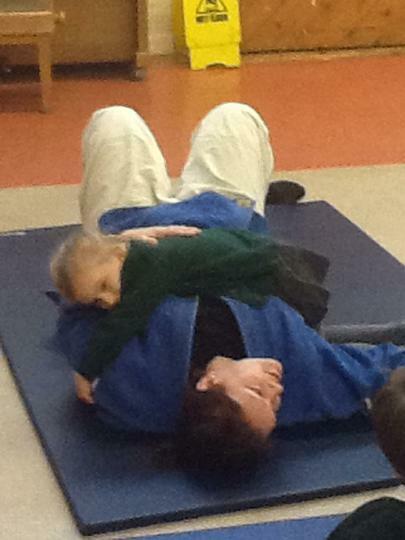 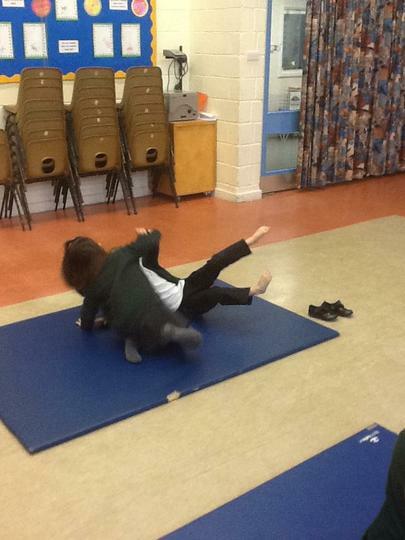 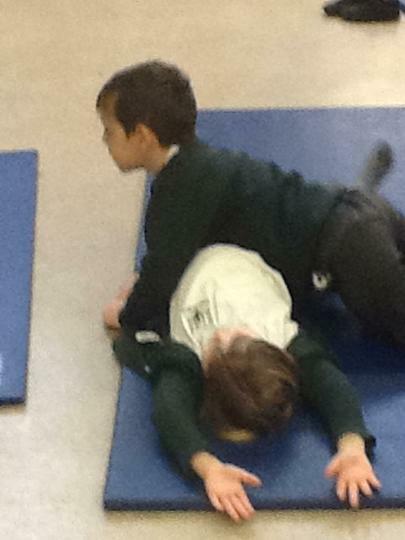 Every child had the chance to take part in a taster session of judo last half term! 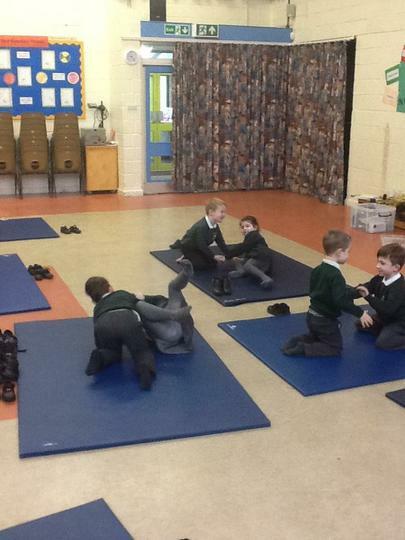 The children loved being involved in something many had not done before.